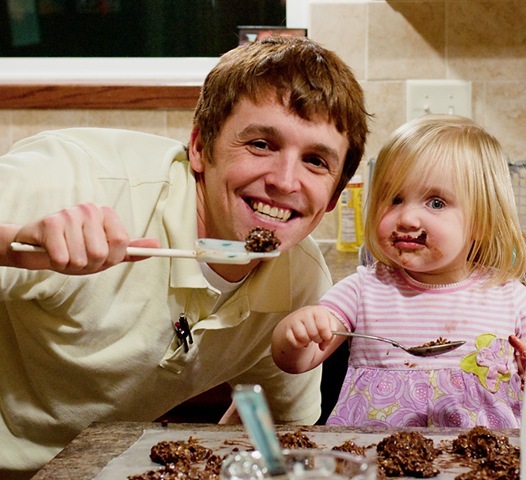 Justin wanted to make some no bake cookies the other night so he enlisted in Jocelyn’s help. She loves to pour and stir. Here are a few pictures. I think she also likes to eat!